Tamiya Model Magazine is a monthly modelling visual-feast! The quality of modelling in TMMI is unrivalled and that is why it is the world's No.1 scale modelling magazine. Covering all scales and types of scale modelling and packed with the very latest releases and builds, the reviews feature high quality photography and essential step-by-step stages of the techniques, guiding and helping you to improve your modelling skills. TMMI is the place to see first looks at new models as well as full size reference pictures, book and DVD reviews and everything aimed at the modeller. 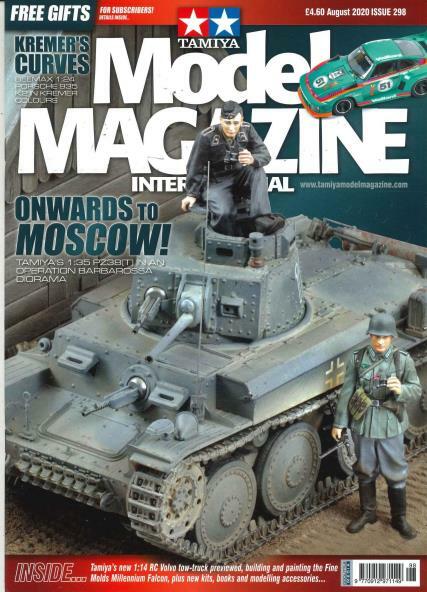 Tamiya Model Magazine is the ideal magazine for anyone who has ever built a scale model or wants to know how to do it better!